Oh hey look I'm posting again. Yay me! 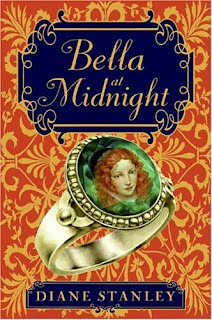 And I'm breaking the rules by doing a Top Ten Tuesday from months ago, and doing ten books/series plus some honorable mentions. Because I can. And in no particular order, because favoritism. Okay so I've only read Cinder and part of Scarlet, but how could I not love this series? I mean, sci-fi fairy tales? Cyborg Cinderella? Really cool cultures? Flail-worthy romance? Sign me up! Okay so THIS BOOK. It's Twelve Dancing Princesses meets The Frog Prince IN ROMANIA. It's glorious and I command you all to read this thing. The sisters are lovely and the whole setting is very mysterious and intriguing and wonderful. Everyone knows Ella Enchanted, but no one knows Fairest, and this saddens my soul. 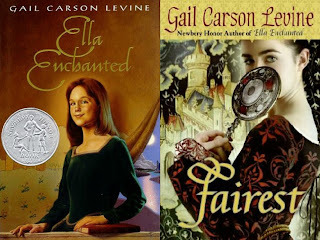 Ella Enchanted is a Cinderella retelling, and Fairest is a Snow White retelling about Ella's best friend's older sister. There's magic singing! And gnomes! And body image issues handled very well! Like yes!! These books and I have a very complicated relationship. Granted, I haven't finished the series, and it is geared toward younger children, so that might influence it, but still. There are quite a few "stupid/eccentric beyond believability for comedic effect but intelligent when needed" characters, which I hate. Also there's the whole "unbelievably bad foster homes" thing. Everything was just wildly improbable. The basic plot idea(fairy tale characters transported by the Grimm brothers from Europe to America for protection) is really cool, though. These books are adorable. 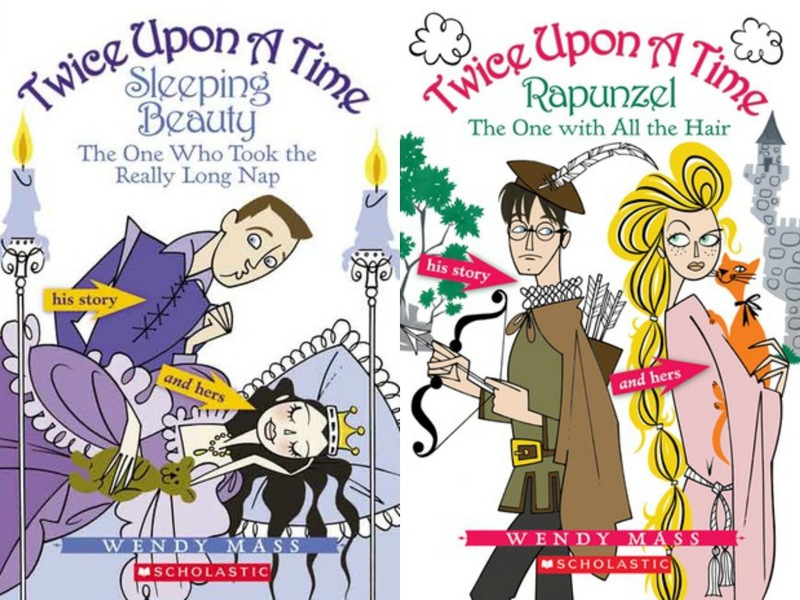 They take traditional fairy tales, twist them a little, and then tell it form the point of view of both the princess and the prince! They're pretty darn adorable and I highly recommend them(there's also a Beauty and the Beast one, which I haven't read, so I might no promises for that one). So, imagine if you took the story of Rapunzel, gave her a Southern accent, and stuck her in a magical and vaguely-steampunk version of the American Wild West, you would have this series. And they're graphic novels. My mom and sister and I have read this so many times it's mildly ridiculous. It's obviously a Cinderella retelling, but there's so much wonderful backstory(and Bella and the prince are the cutest ever okay) and politics and explanations, and all the characters(even the stepfamily) are so deep and it's a beautiful beautiful story and I demand everyone read it right now. And here's...another Cinderella retelling. This one is different. Like, really different. 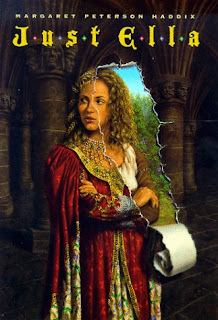 What retelling have you read where the princess falls out of love with the prince? Actually don't answer that; it might make me look stupid. Ella is such a sassy child and the royalty are idiots and Jeb is just *heart eyes*. 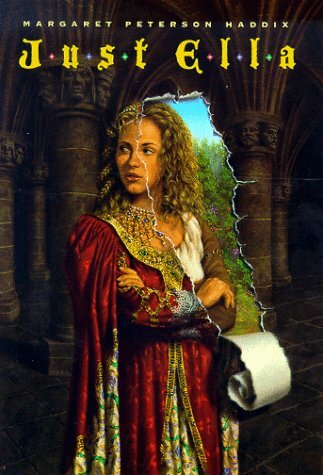 Also, the sort-of sequel, Palace of Mirrors, isn't a retelling but is very lovely as well. It's one of my favorite books by one of my favorite authors. Can't guess what fairytale this is based on? Not surprised. 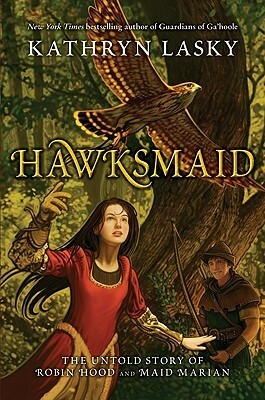 It's based on a little-known fairytale, that Shannon Hale took, expanded, and set in a fantasy Mongolia. Yay for non-European fantasy! I have so many feelings over this I don't know how I managed to stay coherent that long. Ack. 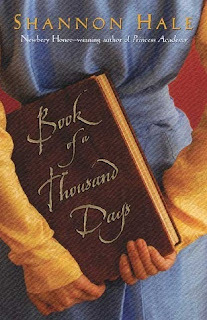 It's told in journal entries(with occasional doodles) and is the story of a maid who is locked in a tower with her lady for seven years when the lady refuses to marry her suitor. Dashti is so optimistic and loyal and inspiring, and Lady Saren(who I'm guessing has some mental disability?) is hard to handle at the beginning, but she grows so much and just ahh. Also, if anyone can find a Khan Tegis for me, that would be greatly appreciated. Other books/series that I enjoy are Frog Princess series(princess turns into a frog instead of the prince), Princess Ben(all sorts of fairy tales woven in), Sun and Moon, Ice and Snow(East o' the Sun, West o' the Moon), Princess of the Midnight Ball(Twelve dancing princesses), The Princess School series(little girl princesses at princess school), The Wide-Awake Princess series(Sleeping Beauty's little sister), and Twisted Tales series(princesses + fighting skills + Choose Your Own Adventure). Go read all the things, guys. - Seriously yes to everything you said about The Sisters Grimm. 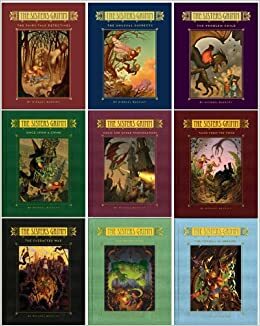 I used to love those books. And now it's complicated because they do so many annoying things but the idea is so funnnn. 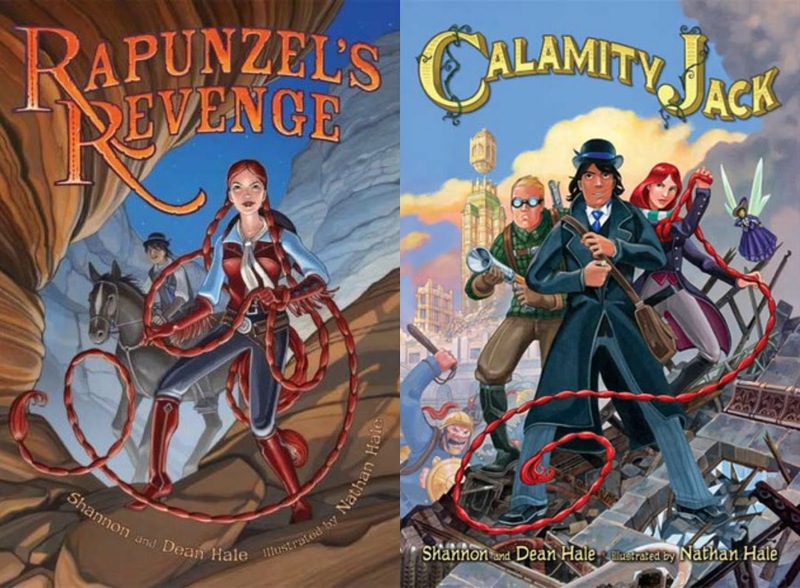 - I haven't read Calamity Jack but Rapunzel's Revenge was so hilarious and awesome when I read it forever ago? So like, yes. Should I read Calamity Jack then? - Also now I feel guilty about not having started Hawksmaid yet. So I should get to that. Yes.